sailboat. : Jennie Makes: Cookies with Chocolate Chunks. A couple of days ago I was in the mood to bake something yummy. I was too lazy to pop to the shop to stock up on ingredients so I decided to set myself a challenge of only using ingredients I already had in my baking cupboard. Cookies seemed to be the obvious choice so I had a little look on the BBC food website and stumbled across this Nigel Slater recipe. Me being me I couldn’t follow it to the letter, I much prefer experimenting so I just altered it ever so slightly & the end result was super yummy! One. Preheat your oven to 180C / 350F / Gas Mark 4. Two. Since I didn’t have any chocolate chips I started by chopping a 200g bar of dark chocolate into chunks. This is much harder than it looks and I imagine it would have been much easier to do with a food processor! Sadly I don’t own a food processor and honestly, I wouldn’t really fancy washing one up even if I did! Three. Pop the butter and the sugar into a bowl and mix until they are smooth and creamy. Again this would be much easier in a food processor but I found that it doesn’t take that long by hand. I decided doing it the long way resulted in a nice little arm workout. Always got to look for the positives! Four. Break the free range eggs into a separate bowl & add as much vanilla extract as you like! I had no idea how much to add and I think I went for about 3 teaspoons in the end! 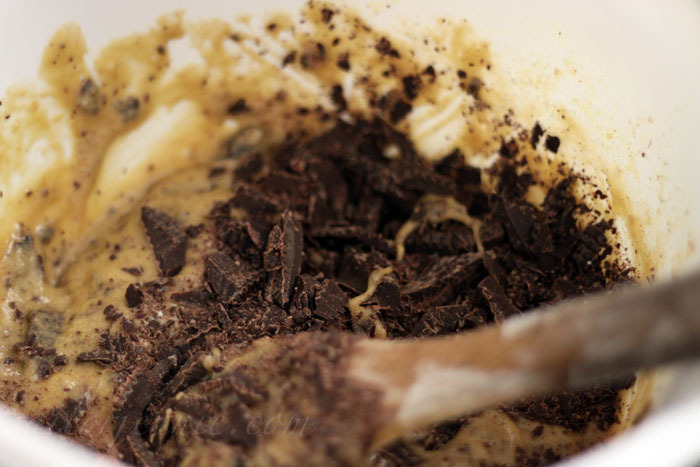 Whisk this mixture gently just until the eggs have broken up. Five. 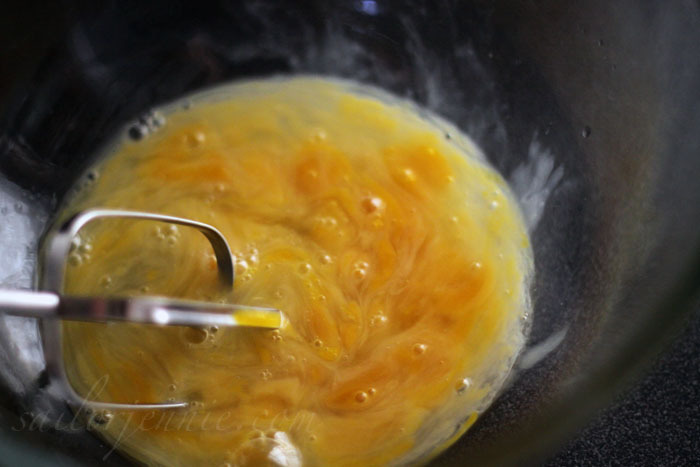 Gradually add the egg mixture into the butter & sugar making sure to beat it constantly. At this point the mixture looks horrible but smells beautiful! Six. Next I folded in the chopped chocolate making sure to give it a good mix together. Then I began adding in the flour a little bit at a time and mixing thoroughly each time. 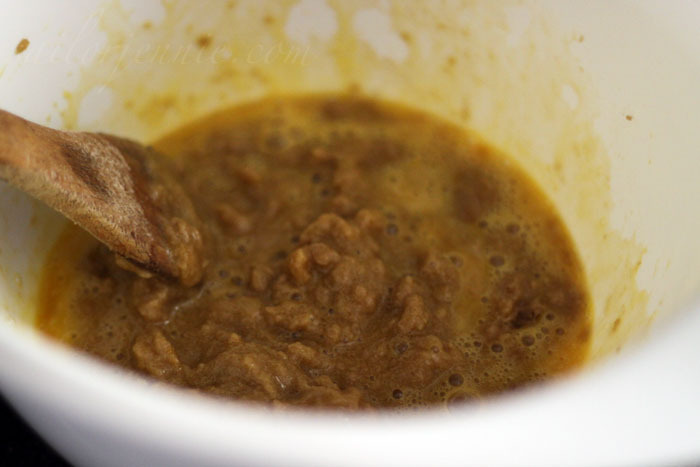 You should then be left with a thick, sticky mixture! Seven. 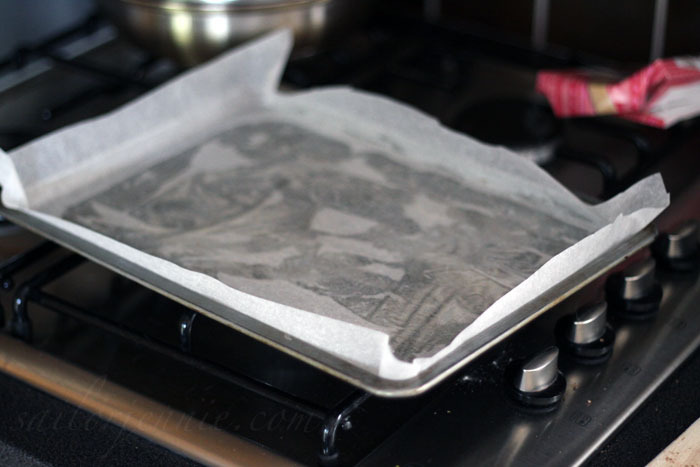 I lightly greased a baking tray with margarine and lined it with grease proof paper. Pop large tablespoons of the mixture on to the baking tray & there’s no need to flatten them down, they’ll do that themselves once in the oven. I baked 6 cookies per baking sheet. Eight. Pop them in the oven for around 10 – 12 minutes & when you take them out they should have spread and be soft to the touch. Leave them to cool before removing them from the baking sheet so they don’t begin to crumble. Et voila! 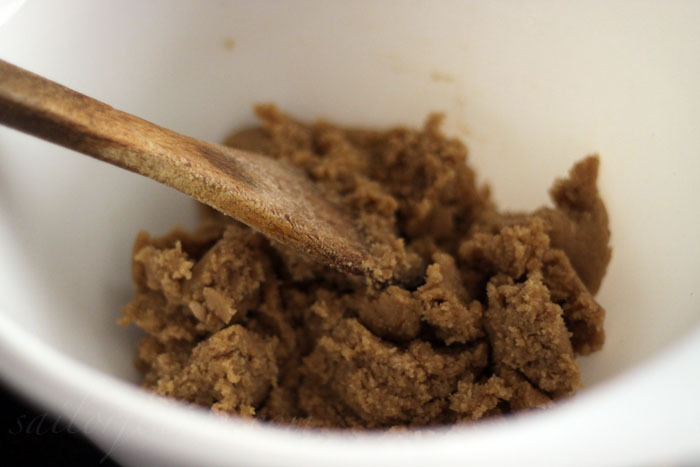 I found this mixture makes around 12 – 14 large cookies! They should be beautifully soft with the chocolate inside wonderfully gooey. 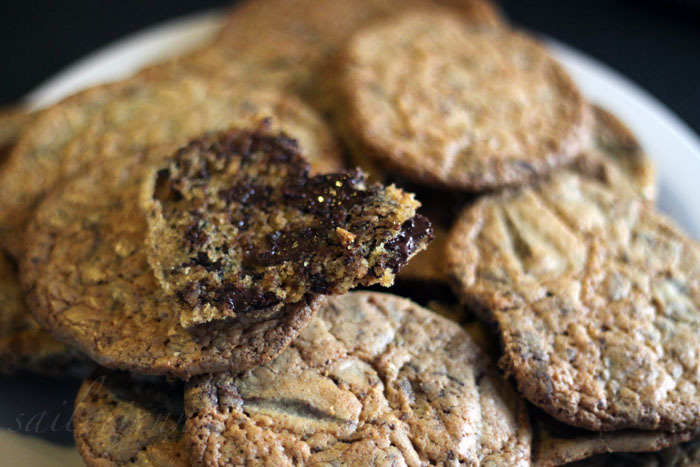 I think this is the perfect basic cookie recipe that can be experimented with. There’s not a huge amount of butter in them which is always a good thing & instead of adding chopped chocolate you can add anything you want. 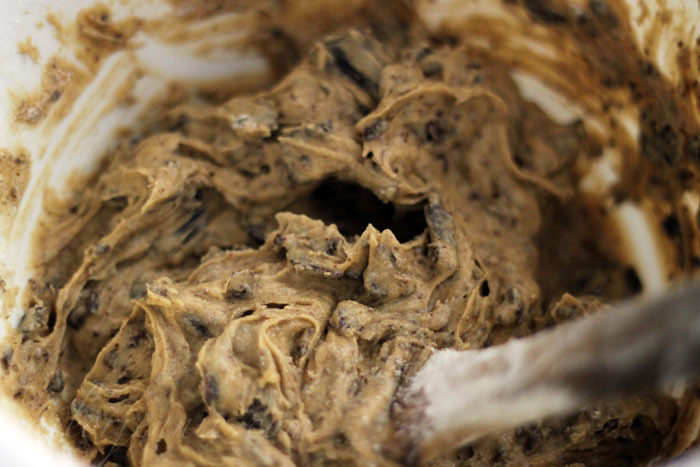 I think I’m going to bake a new batch today using some chocolate chips, mini chunks of fudge & some glace cherries. Always have fun and experiment with baking! 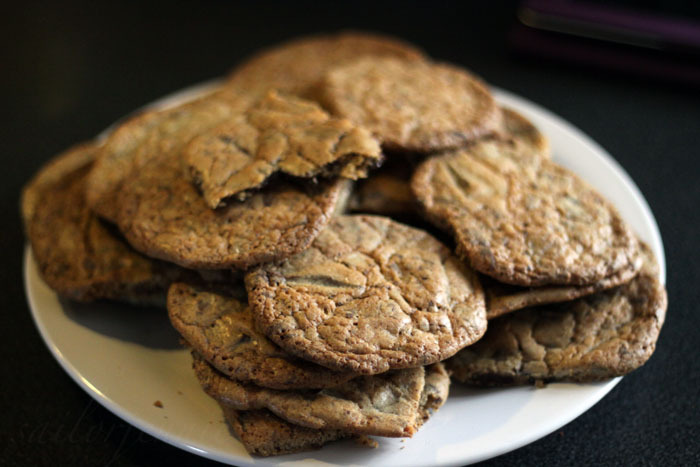 Let me know if you try this out or if you have a different cookie recipe you think I should try! P.S. 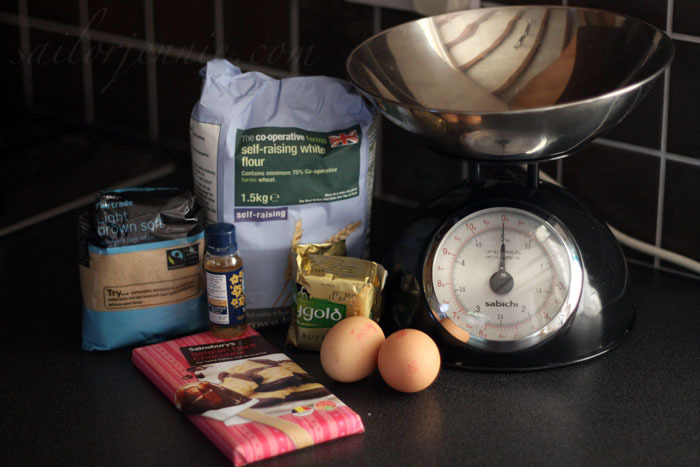 If all goes to plan I shall be baking my boyfriend a pretty amazing birthday cake this week! Hopefully that should be up sometime next week & if you don’t see it then you’ll know it all went horribly wrong! Yum yum! We have some chocolate in for once, so I might get around to trying this (though my Dad has his heart set on rice krispie cakes). They'd be lovely with orange essence in the mix! these pictures are making my mouth water... YUM! Those look so delicious! 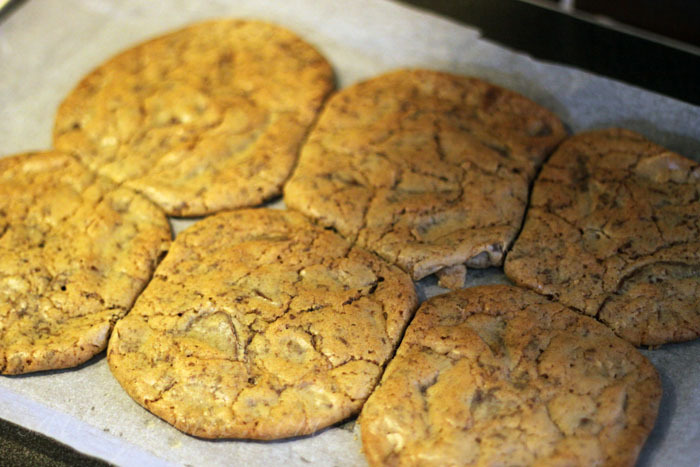 Mine cookies awlways end up more like biscuits - no wonderully chewy centre, so I'l definitely try this out! 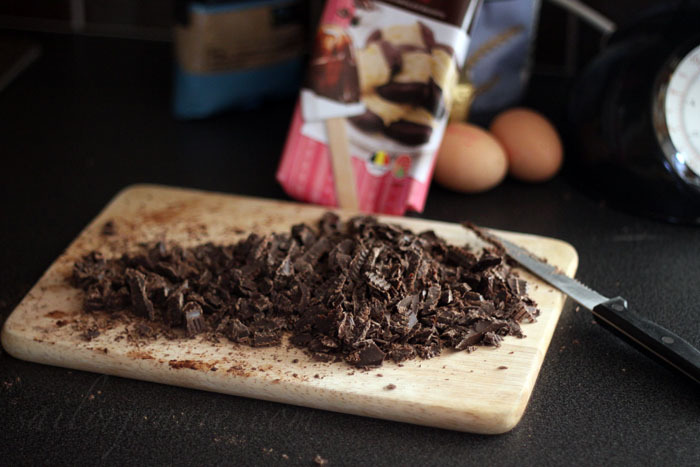 I dont't have a food processor either, so when I want chocolate chunks, instead of cutting up choc which, as you said is really difficult, I just break it up into the squares and put them in a sandwich bag, then batter it with a rolling pin/kitchen hammer! Yum! Seriously, if only you could allow us a virtual sample!!! Thanks for the comment on my blog - Did you manage to avoid the sale? I always find it SO hard thought I managed to steer clear of the elf one! Phew!! these look so MOUTH WATERING and the photos u have taken for them look good enough for the recipe step by step for the ipad! !